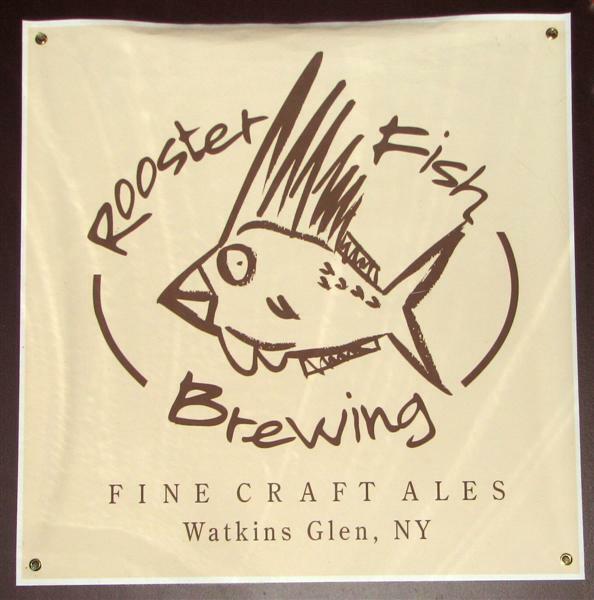 Roosterfish is a nice brew pub, with a very big selection of beers. I'd almost say that the selection of beers is too long. There seem to typically be 16-20 on tap, which is just too many for me to try in one sitting! The Brown Ale that I tried was good, and my friends all seemed to enjoy their beers also. I'll be sure to get back there some time to try the rest. Brewpub in the middle of Watkins Glen, right next to the police station! Second trip into here, last one being in 2006. The IPA was a little pricey (something about a hop shortage) but not a bad brew. Had some wings and a sandwich and both were good. Dessert was a cocoa porter with a smooth mouthfeel and a bit of chocolate on the back end. Good choice for dessert. A decent all-around experience. The only thing they could do is adjust pricing on the other beers a little to compensate for the IPA. Will stop again.